In recent years, with the rise of the WPC. Use wood plastic floor more and more people. Currently on the floor market no longer continue to promote the use of wood. Because the use of wood waste a lot of forest resources. So very popular is that both green and environmentally friendly, is consistent with people’s resource recycling, and the pursuit of circular economy, promoting low-carbon environmental protection purposes, this new type of material that is wood plastic sheet . 1, Environmental protection: Environmental protection wood plastic sheet at high temperatures, by HDPE, wood flour, bran, bamboo powder and renewable materials as raw materials, mixing extruder ratio from wood by special equipment and technology, products both retains the natural wood texture and grain, waterproof, fireproof, corrosion resistance, high temperature, aging, and other recyclable environmentally friendly features, fully meet the outdoor garden, docks, municipal engineering, outdoor architectural requirements. 2. Innovation: wood plastic sheet not only focused on the traditional flooring and other products, but also committed to innovation and research and development in wood plastic sheet technology, performance and design. 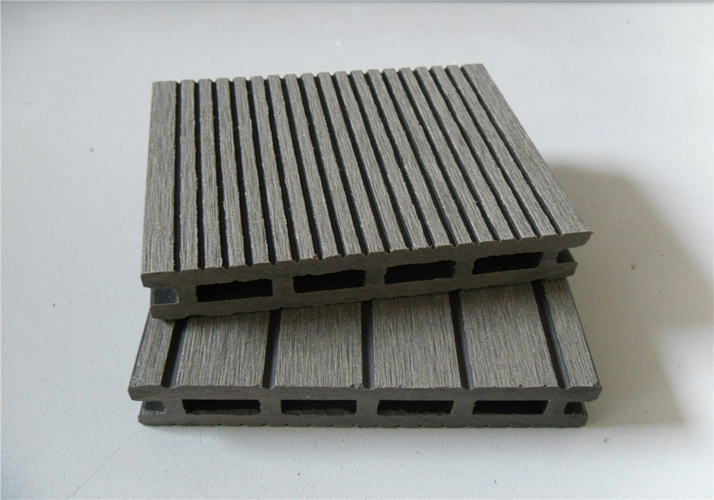 For example, we have cold and coastal areas, we will redesign floor structure, strengthen the weathering properties of the material to make our products more suitable for use in different regions; at the same time according to customer requirements, development of a variety of new wood plastic series, such as WPC fences, wall panel and other garden series. 3, Environmental protection wood plastic sheet product quality is the core business of company , so we purposely set up a production base in the laboratory for each batch of product we are sampling conducted to detect, in addition we also continue for different applications , innovative and adjust our technology as much as possible to meet customer requirements. Finally , if you interest in environmental protection wood plastic sheet or have related question , we will try our best to help you .